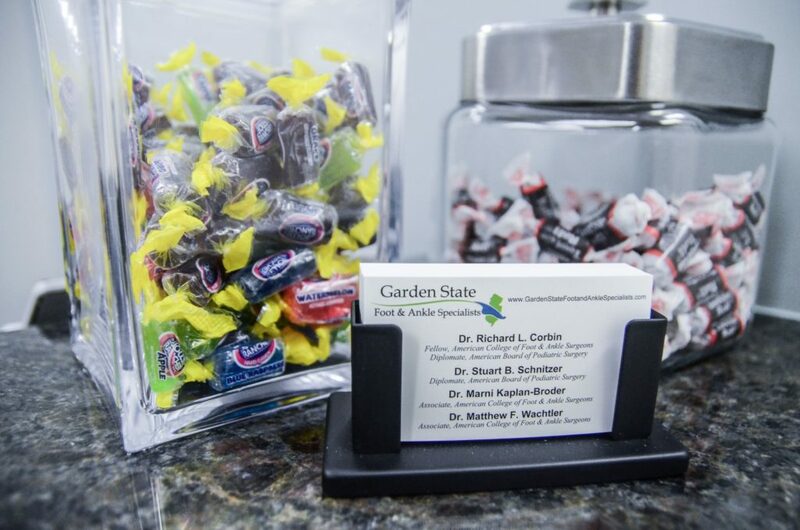 All our professionals at Garden State Foot & Ankle Specialists maintain the highest levels of accreditation and pursue ongoing education to stay abreast of the latest trends in podiatry. Dr. Corbin graduated from the prestigious Hoboken University Medical Center Podiatric Residency Program as Chief Resident in 1995. Dr. Corbin was the section chief of Podiatry at Muhlenberg Regional Medical Center for over eight years up until its closing, and he is currently on the podiatric residency committee for Morristown Medical Center and Hoboken University Medical Center (two of the top podiatric residency programs in NJ). Dr. Corbin’s training encompassed a vast area of foot and ankle pathology. This included a proficiency in the foot and ankle trauma and reconstructive surgery. Dr. Corbin specializes in both conservative and surgical treatment options. Dr. Corbin is Board Certified by the American Board of Podiatric Surgery and is a Fellow of the American College of Foot and Ankle Surgeons. Dr. Corbin is on staff at JFK Medical Center in Edison, Overlook Hospital in Summit, and on staff at local surgical centers. 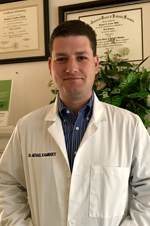 Dr. Sheppard received a dual bachelor’s degree in Biology and Italian Studies from Emory University. She then graduated from New York College of Podiatric Medicine at the top of her class. Dr. Sheppard completed her surgical training at Morristown Medical Center of the Atlantic Health System, where she was chief resident throughout her third year. During her residency, she became proficient in a wide range of surgical procedures including foot and ankle trauma, ankle arthroscopy, flatfoot reconstruction, diabetic Charcot reconstruction and limb salvage, application of external fixation devices, and all forefoot pathologies. 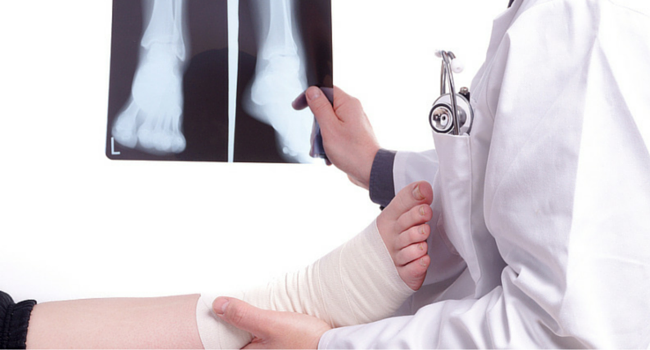 Dr. Sheppard is highly qualified to treat all foot and ankle pathologies both conservatively, as well as surgically. She is board qualified in foot and ankle surgery by the American Board of Podiatric Surgery. Dr. Kaminsky received his bachelor’s degree in Biology from the University of Delaware. He then went on to graduate at the top of his class at Temple University’s School of Podiatric Medicine in Philadelphia, PA. Once his didactic training was complete, he went Hoboken University Medical Center for a three-year residency in foot and ankle medicine & surgery, with an emphasis on trauma and reconstructive surgery. Dr. Kaminsky served as the chief resident during his final year of training. During his residency, he became highly skilled in fracture repair and elective reconstructive surgical techniques. Dr. Kaminsky is currently pursuing his board certifications in the American Board of Podiatric Medicine and the American Board of Foot and Ankle Surgeons. Dr. Kaminsky currently resides with his wife in Hoboken, NJ where he enjoys tennis and running.